Staged in Kingston the capital of Jamaica, on Tuesday 22nd August, after two days of play at the 2017 Caribbean Under 13 and Under 11 Championships, the Dominican Republic emerged as the most successful nation on view. Represented by Oswaldi Reyes, Christopher Rodriguez and Marcos Tavarez, the Under 13 Boys’ Team title was secured, whilst with Eduardo Darley, Yoel Mendoza and Ramon Vila in action, the top step of the podium in the Under 11 Boys’ Team event was achieved. 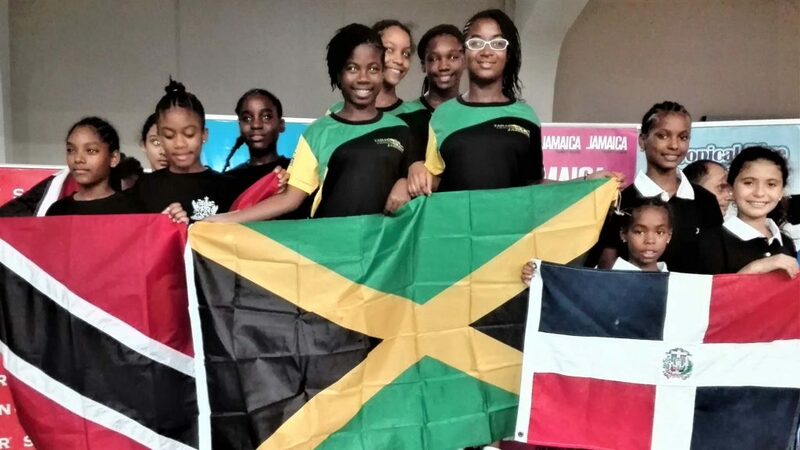 The only title to escape their clutches was in the Under 13 Girls’ Team event, where the top prize finished in the hands of the Jamaica ‘A’ Team, who selected from Kelsey Davidson, Selena Khwalsingh, Gianna Lewis and Solwsha Young. A group organised event, the Jamaicans finished in first place ahead of Trinidad and Tobago’s Imani Edwards-Taylor, Priyanka Khellawan and Rebekah Sterling. Third place was reserved by the Dominican Republic trio formed by Dileisy Acevedo, Arianna Estrella and Shary Muñoz. Meanwhile in the Under 13 Boys’ Team event, where two groups formed the first phase followed by a semi-final, final and a play-off for the minor places; in the title deciding contest, the Dominican Republic recorded a three-one in opposition to Trinidad and Tobago. Mainstay of the win was Marcos Tavarez, he accounted for both Jamili Mauge (11-6, 9-11, 11-6, 11-7) and Jalen Kerr (11-6, 14-12, 11-4). The one further win for the Dominican Republic was secured in the third match of the fixture when Oswaldi Reyes overcame Nicolas Lee (11-9, 5-11, 8-11, 12-10, 11-9); the one success for Trinidad and Tobago was gained in the opening contest when Jalen Kerr beat Christopher Rodriguez (11-3, 11-7, 11-3). Earlier at the semi-final stage, with no changes to the line-up, the Dominican Republic had beaten Guyana’s Kaysan Ninvalle, Isiah Layne and Jonathan Van Lange by three matches to nil. At the same stage with Nicholas O’Young preferred to Nicolas Lee, Trinidad and Tobago had defeated the Jamaica ‘A’ outfit comprising Jelani Barnaby, Joel Butler and Dujaun Jackson by three matches to one. 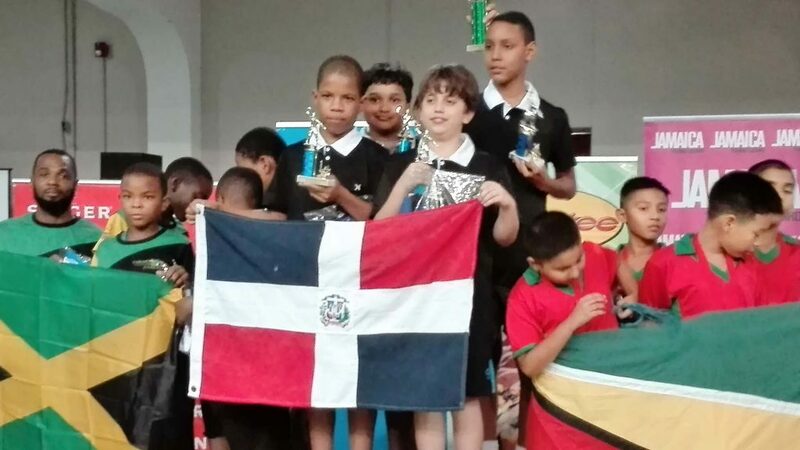 Success for the Dominican Republic in the Under 13 Boys’ Team competition; in the Under 11 Boys’ Team event, organised on a group basis, Eduardo Darley, Yoel Mendoza and Ramon Vila finished in first place ahead of Jamaica ‘A’, who selected from Rasheed Clarke, Jaden Ebanks, Matthew Fung and Azizi Johnson. Third place was reserved by Guyana who selected from Alexander de Abreu, Dhanesh Persaud, Krystian Sahadeo and Colin Wong. Play in the team events over; attention now turns to the individual events; play concludes on Sunday 27th August.